JustBoilers.com North West London Boiler Installation & Replacement Co.
Do you need a new boiler installing in North West London? 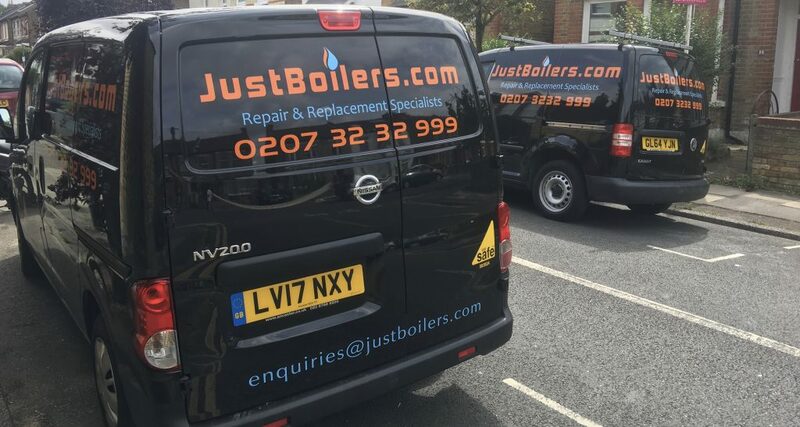 Homeowners in North West London who find that they are having issues with their central heating system should call JustBoilers.com for free and impartial advice about finding the right new gas boiler to suit their family’s needs. 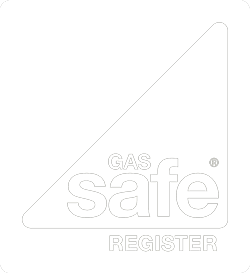 We are a highly trained team of Gas Safe Registered Engineers who are specialists in boiler fitting and boiler change services, and we can offer you all the help that you need to choose a new efficient central heating system that is perfect for your family’s requirements. Our low boiler install cost helps to reduce the financial burden of replacing your heating system while ensuring that you can also lower the cost of your average energy bills. A new, efficient boiler will not only help to keep your home comfortable and warm, but it will also help to protect the environment, lower your carbon footprint and slash your heating costs. We are experienced at installing, Ariston, Alpha, Baxi, Chaffoteaux, Danfoss, Everflow, Ferroli, Glowworm, Grundfoss, Honeywell, Halstead, heatline, Ideal, Keston, Main, Potterton, Ravenheat, Vaillant, Worcester Bosch and many more. We are also able to repair any of the above boilers. More efficient central heating system. Heating accounts for about 60 per cent of what you spend in a year on energy bills, so an efficient boiler makes a big difference. Energy bills are reduced as the efficiency increases with a SEDBUK A-rating boiler. Call us to book an Engineer Home Visit – at no cost to you. We assess your needs and usage for free before recommending the best options for you and agreeing a fixed price quote. We install the boiler on your chosen date. We will be clean, tidy and will arrange for your old boiler to be disposed of to a recycling facility. Call us 24/7 for ongoing support. For all boiler installations, we provide a fixed price quotation so there are no surprises! You’ll find that our rates are competitive compared to other London based companies. Prompt, Fast and Honest. Really helpful friendly customer service. Was assuming it was all going to be a nightmare organising everything, but these guys were great. John the installer was excellent and made me feel very confident in his abilities. He explained everything really well and showed me where the problems were in my ancient boiler. Decided to go for a new one and was surprised at the competitive price and advice. Turned up the following day on time and sent me a reassuring text on his ETA.Would definitely recommend these guys to anyone who needs a boiler serviced or installed. Two thumbs Up. Had a great experience. Our guy was quick, punctual, friendly and fixed the boiler within an hour. When I had a question later the same day he gave me a call and explained what he'd done. I'd use these guys every time. Hailey was very polite and trying to get the best times for me over the phone. There were no hidden charges, John Millen was very efficient, there was a leak in my boiler that was fixed within an hour and he even helped dry the water that was all over the kitchen floor. Very happy with this company, thank you. Have used Just Boilers on three occasions. They have always been available at short notice. They are efficient and reasonably priced. The staff are really friendly and explain everything they are doing. Would definitely recommend. John was fantastic - arrived early, great service and very honest. would definitely recommend Just Boilers for london! I used this company for the first time recently for an urgent repair. Quick to respond with very efficient office communication, and found Darren the engineer to be very knowledgeable with excellent problem solving skills. I can highly recommendation JustBoilers for any similar work, and I'll certainly use them again. Boiler serviced by Aaron, local specialist with warm and professional manner. Safe, trustworthy service from friendly individual. Highly recommend this company to anyone, old or young. In a world where every plumbing company seems to be all about ripping customers off with high fees or untrustworthy workers it’s so refreshing to have found justBoilers. The staff are all so professional and helpful and their pricing/after care service are both fair and sensible. Recommended! I've used Just Boilers a few times now and I rate them really highly and have already recommended them to friends and family. When you know nothing about boilers it can be scary to get an engineer in as you are at their mercy in terms of being told what the issue is and how much it will cost but my experience with Just Boilers have proved to me that they are an honest and straightforward company to deal with so that's why have no qualms about recommending them.Their call handlers and customer service people are excellent and if you have further queries they are able to explain it in layman terms. Brilliant service from original phone call to quote to installation. Aaron and Adam were both excellent - friendly, professional, affordable, efficient and my new boiler is great. Called a few of the big companies, useless! One week to come out and look, then I got cancelled on. Rang these guys and the came out that very same day, and fitted a new boiler really really well 2 days later. Don’t even hesitate. Oh and to top it off was the cheapest of 5 quotes. Now I’m off for a HOT shower. I rarely post reviews but these guys went beyond the call of duty when they didn’t have to and way out of office hours. Very efficient and very professional. Bravo. Richard was brilliant, professional, tidy and on time. They also provided a very competitive quote and got the new boiler installed quickly. Would definitely use again and recommend. Really good service from Just Boilers. Richard arrived on the same day and fixed our boiler within 2 hours. Speedy and professional service. Friendly, efficient and affordable service! Richard always arrives on time and takes the time to explain the problem, the possible solutions and makes you feel very comfortable that the problem will be fixed. I've used JustBoilers a few times now and will continue to do so! I contacted Just Boilers after a routine annual manufacturer's service showed that my boiler was incorrectly - and potentially dangerously - wired to the pressurised cylinder. It had been like that for 8 years but no one had noticed. I was able to get an appointment quickly and Richard not only explained the problem but knew what the solution was. His approach was to look at the whole system which had been tinkered with over time and he gave it a complete overhaul, doing not only the obvious things like fitting thermostatic valves to all of our radiators but he also solved the pressure problem that meant the loft extension has been chilly for the past 30 years. The whole job was done quickly, efficiently, with attention to detail and at a fair price. Highly recommended. Richard was absolutely fantastic!! Would definitely recommend justboilers to anyone and will be using them again myself. Thank you so much! Really fantastic company to deal with and they did a great job replacing our boiler. From getting a quote to communicating to the office staff and getting my boiler fixed the service was fantastic. I felt like they gave the best advice to get us the best deal at the best price in comparison to other companies where I felt as if I was being ripped off. They were extremely professional and put us at ease. They cleaned up after themselves and regularly gave us updates as they installed the boiler. Highly recommended company, would definitely use again (but hopefully don't have to if my boiler behaves!). Richard Ritson is very experienced and incredibly capable. He managed to diagnose and fix a long standing problem with my central heating system that perplexed another firm (both their plumbing and electrical team). Richard is both a qualified heating engineer and an electrician, which is what you need on site for technical issues. Other firms will often try to charge you for changing parts that might be causing a problem until they fall upon the answer. In contrast, Richard seeks to identify the problem form the outset by drawing on his experience and impressive technical knowledge. Richard is also courteous and fair with his charging - you know where you stand all the way along. I will only use Just Boilers for heating and electrical work from the point forwards. Very good service. Responded quickly after my boiler broke and fitted a new one very quickly. As a landlord having used ‘insured’ services, this was like a breeze in the park. Next day repair, easy to book, clear communication, worked around my tenant’s availability, arrived on time, kept me informed throughout, took time to explain the problem in layman’s terms, before fixing same day. Courteous to both tenant and I throughout. Highly recommended! If you're in need of urgent assistance, call us on 0207 32 32 999. Alternatively, complete the form below and we will be in touch with you shortly. Wembley’s iconic sliding roof covers every seat in the stadium, making it the largest fully covered stadium in the world. We offer fair, transparent pricing. Professional, qualified engineers – friendly, honest, clean & tidy! © 2019 Just Boilers London Ltd.